Monsoon wedding is all about flaunting gorgeous rain motifs, but a beautiful hairstyle can add glory to your overall look. 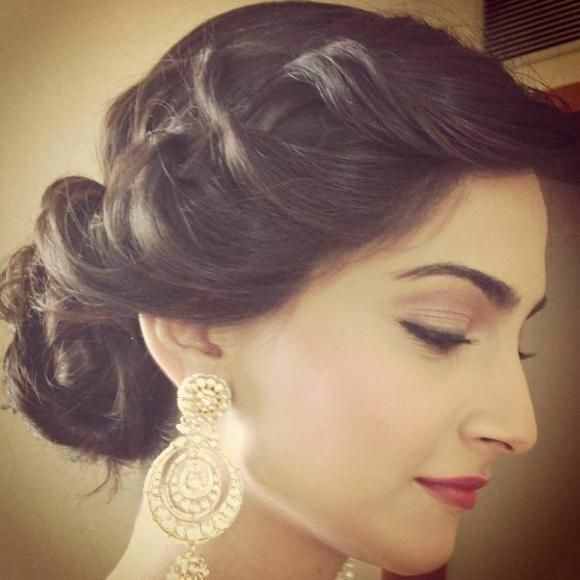 Take a look at 25 stunning Indian wedding hairstyles brought to you by Zuri! Who doesn’t love a monsoon wedding? The pitter-patter of the rains, the clink of cocktail glasses and the singing and dancing in celebration of the bride and grooms happy day are enjoyed by all. Amidst all this the colourful lehengas and the decked up jewels of the bridal party are always a point of attention. While you plan in advance to get the perfect outfit don’t leave your hair do behind. You may catch the eye of someone special. There are a variety of styles you can experiment with – from buns and updos to braids and open tresses. Braided buns and French twists are a wonderful way to show off your sophisticated style. Braided buns involve taking a section of hair along the crown and weaving it into a delicate braid. This is then gathered together with the rest of the hair to create a neat looking chignon bun at the base of the head. You can even tease a few hair strands and use the backcombing technique to add a lift or coif and give the look a messy effect. This kind of style looks great with heavily embroidered sarees and lehengas, perfect for the main wedding day. If you are looking for a chicer style, opt for a slick French twist at the back or side of the head. Use mousse or hair spray to tame the flyaways and gently gather it together to create a stunning updo. This style works well with uber-cool evening gowns or saree gowns and is perfect for an evening, black tie cocktail party. Another way to keep the hair out of your face but still keep you looking fabulous is to try your hand at a variety of braided hairstyles. The Dutch braid or the waterfall braid is an excellent option for a picture perfect monsoon wedding. 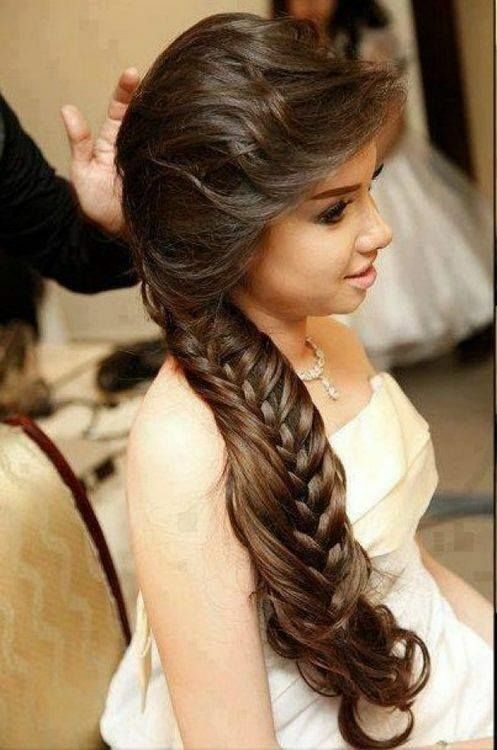 Both these braid styles are intricate and create an illusion of thick voluminous hair. You can even embellish these styles with sequins or decorative pins placed beautifully throughout the weave of hair. Braids are a good style if you are wearing an Anarkali or a fitted salwar suit. 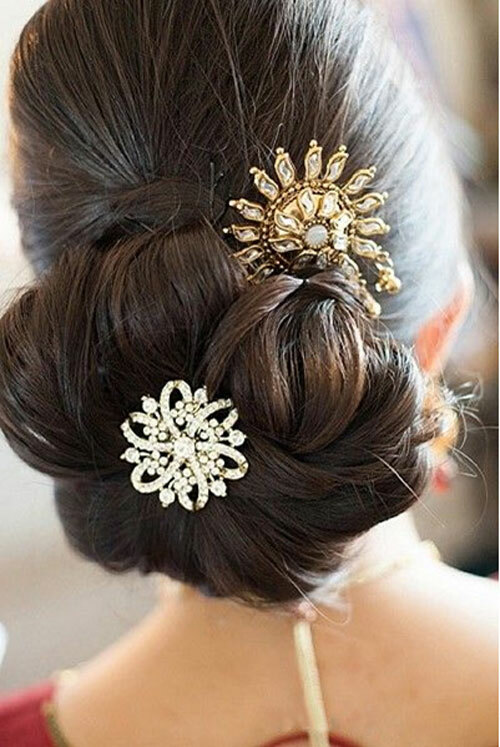 One of the hottest trends in the wedding fashion circuit these days are the hair accessories and head gears. You can choose silver head gears with ornate carvings or opt for a delicate string of pearls worn around the crown. Leave behind the traditional mang tikka’s and give the look your own special twist.